Keen observers of Brexit will know by now that nobody has a weaker understanding of WTO rules than the very advocates of a no deal Brexit. Perhaps marred by desperation, the no dealers have retreated back to one of their favourite policy safe spaces in an attempt to avoid any kind of second thought or realisation that may have made errors. It is, as Roland Smith put it just recently, the 'I have no solutions and can't be arsed to think option'. What makes the whole ordeal so frustrating is that their track record on understanding the issues and communicating them honestly is so disgracefully poor. They told us the WTO's Trade Facilitation Agreement would prevent any kind of hard border with the EU post-Brexit. They told us that new non-tariff barriers to trade governing the EU's sanitary and phytosanitary regime would be prevented under WTO rules. And now they contend that GATT Article XXIV paves the way for some kind of transition, allowing for a continuation of terms for a reasonable length of time. 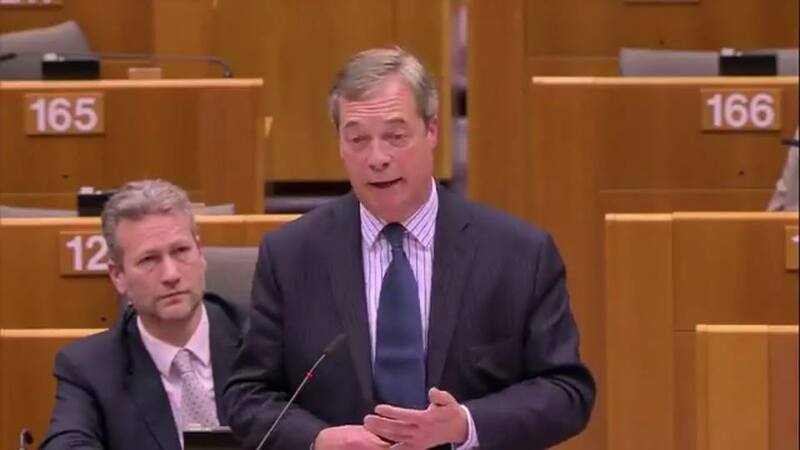 The new line, echoed this week by Nigel Farage in the European Parliament, essentially argues that a no deal Brexit can be softened through the use of the Article XXIV mechanism built into GATT. Presumably the no dealers envisage it to be some kind of lever used to help WTO members transition from one trading relationship to another. And to some extent this is true, but important details are being missed out and the provisions outlined in the agreement are specific enough in their scope for us to understand where the hardliners are going wrong. The overall narrative is that the main purpose of GATT Article XXIV is to outline the criteria by which WTO members can deviate from the principle of non-discrimination, known formally as Most Favoured Nation (MFN). This, we know, is the rule which allows countries to afford certain other countries special treatment so long as it manifests within the form of either a free trade area or customs union. This is also why tariff free trade is permitted bilaterally or multilaterally in say, the EU, or CETA, for want of a more recent example. In addition, the Article makes space for members to establish 'interim agreements' designed to lead up to the formation of either a free trade area or customs union. The WTO outlines that Article XXIV has application across "customs unions, free-trade areas, and interim agreements leading to the formation of a customs union or free-trade area." The interim agreements part of this provision is interesting for two reasons. Firstly, it is wrongly assumed to apply in the context of Brexit, and secondly because it is almost never used. Paragraph 5 sub-para c notes that "any interim agreement referred to in subparagraphs (a) and (b) shall include a plan and schedule for the formation of such a customs union or of such a free-trade area within a reasonable length of time." The comment at the end about a reasonable length of time is often used to propel the idea that we could in effect have a transition period after a no deal. This is a fallacy. The space for a reasonable length of time simply refers to the adoption of an interim agreement. And the key word here is, indeed, agreement. The point about no deal is that there is no agreement in place between the UK and EU. There is no notification lodged at the WTO that the both sides have concluded the formation of a customs union or free trade area, or that they have concluded a 'plan and schedule for the formation' of a customs union or free trade area. So the provision simply doesn't apply. Since GATT Article XXIV's main mission is to encourage the proliferation of preferential trade agreements, it wouldn't make much sense for its provisions to apply to a bare bones, WTO-based trading relationship. 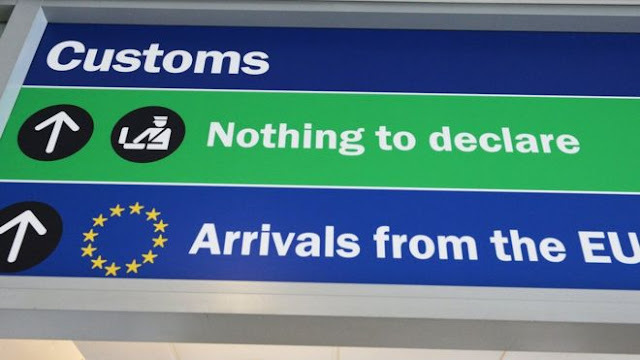 On March 29th, unless anything substantial changes, the UK leaves the EU with no agreement and overnight becomes a third country. The EU's third country regime automatically kicks in and community law no longer applies to the UK and is no longer applied to the UK. No dealers like to forget the second part of that fact because, of course, specialising in cakeism is a great way to avoid tackling detailed and complex problems. There is no interim to anything. The withdrawal issues do not disperse and negotiations to conclude an FTA or customs union do not kick in.